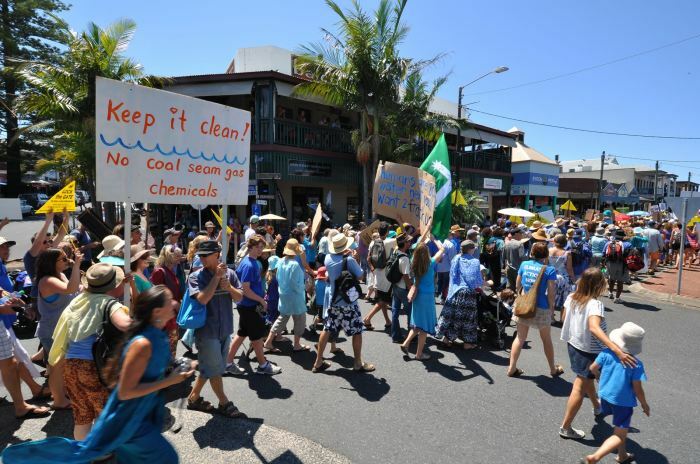 In an indication of how Byron Bay people feel strongly about environmental issues, the Coal Seam Gas rally last week was a good example. 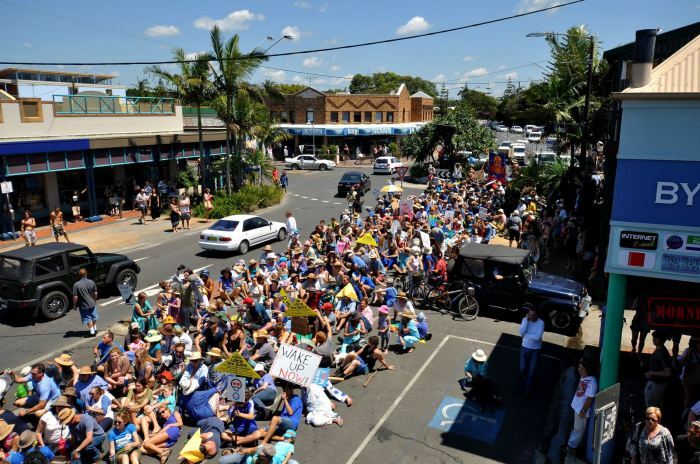 Hundreds of concerned locals marched from the market park up to Main Beach in wonderful sunshine. Yesterday our two intrepid CPE students were chauffeured to Brisbane for the first ever CPE speaking exam for BBELS. They were quietly confident with the exam. Yesterday we also had the speaking exams for FCE at the school. The students were nervous however, the examiners were very nice. Today CAE is doing a filmed mock speaking exams. Tomorrow is the speaking exams for CAE. We have our fingers crossed that all the Cambridge students will do well. This Friday we are having a graduation and BBQ spectacular at the Pass to say good luck and goodbye. 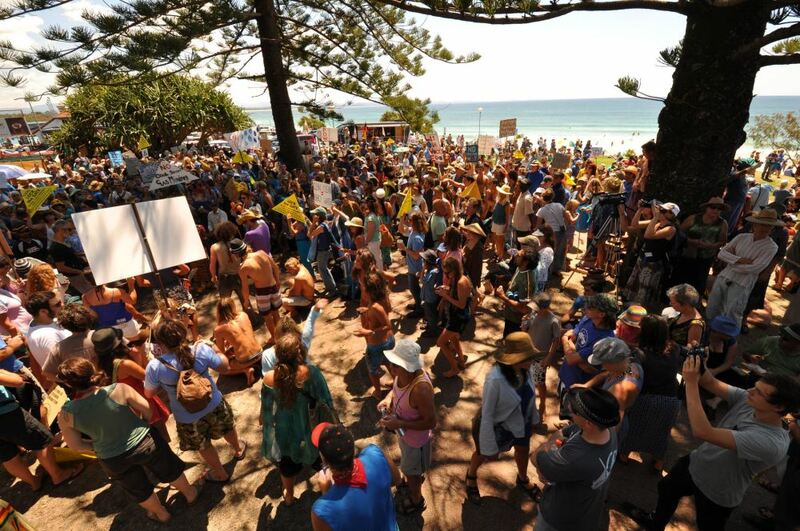 The Currumbin excursion is probably one of our most popular excursions. The students have a chance to get up close with native Australian animals. In the education session the students can touch a snake or a lizard. In the park students can feed the kangaroos and wallabies and have their photos taken with a koala. Currumbin is not a zoo but a wildlife sanctuary so all money goes into looking after injured animals and the park. The elementary class went there on Wednesday and these were the great photos taken by Oriol. Upper-Intermediate B was treated to an amazing lunch this week. Carlos, from Spain, cooked paella that was big enough to feed the whole class, with lots of leftovers. Not to be outdone there were dishes from Japan, Korea, Switzerland, Brazil and France.